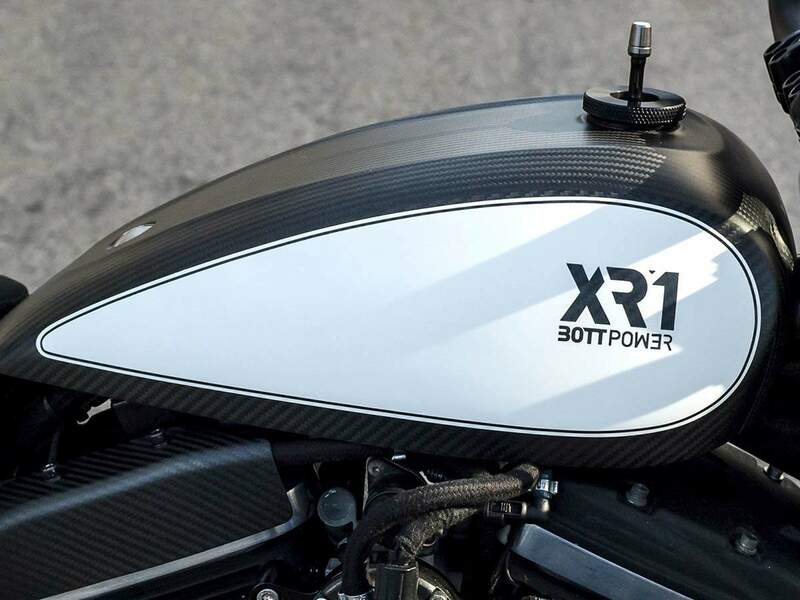 Based in Valencia, Spain, Bottpower is a motorsport engineering company that specialises in custom-built motorcycles. Bottpower is managed by David Sánchez, mechanical engineer with lots of experience both in mechanical design and motorbike races. Bottpower is a side project for Moto2 and WSB data engineer David Sanchez. He describes them as "sportsbikes with flat track aesthetics", a claim he’s entitled to as their 2017 XR1R came fourth at Pikes Peak. "It is very similar to previous ones, but of course this one, as all the XR1s that we have built, has its own particularities. Trevor, the bike owner, wanted the seat lateral number plates shorter than normal, so we did it. Also, this the first XR1 in which we have mounted an Öhlins TTX shock that has been custom made for our bikes, with the correct length and damping characteristics. Regarding the paint scheme, Trevor wanted a simple and clean design, using white as the main color and also showing the carbon fiber of the parts. He even decided to use white rims, which was a little bit risky choice, but we must say that it worked really well. We think that the bike looks very clean and elegant. Also, in this bike we mounted our carbon fiber front fender (which is valid also for any Buell XB). We kept the original 6 pistons front caliper (normally we use to mount the 8 pistons one). 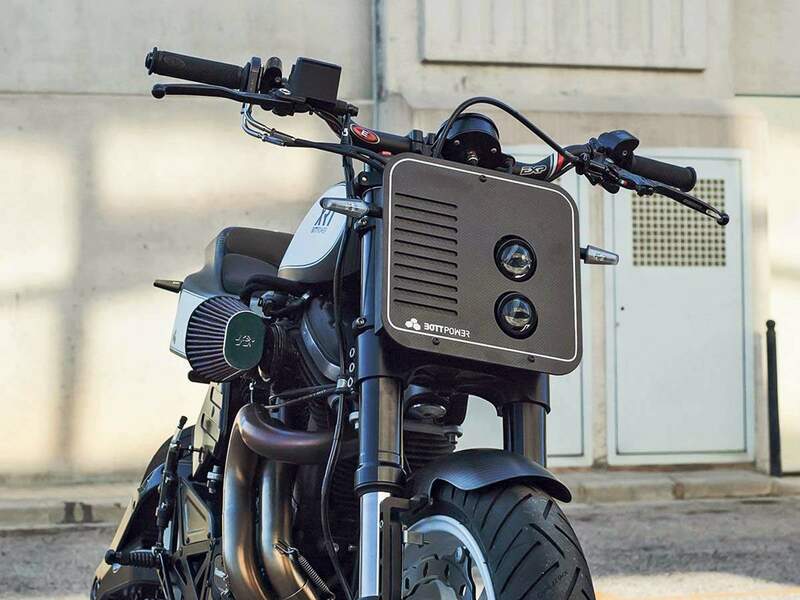 The bike has a Torque Hammer silencer, Motogadget display, Continental tyres, Active throttle, Brembo master cylinder, and Rizoma license plate holder and signal lights. It also mounts a Bottpower triple clamp (also valid for Buell XB bikes) and an Easton handlebar. 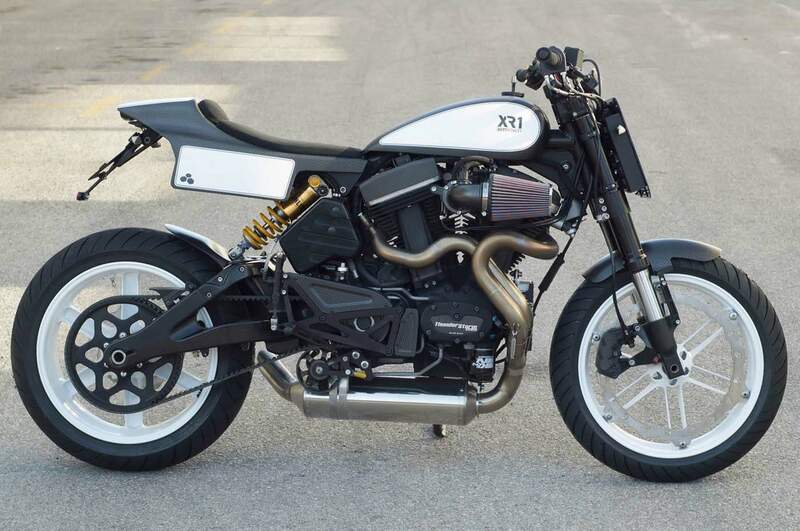 The donor bike for building this BOTT XR1 was a Buell Ulysses. 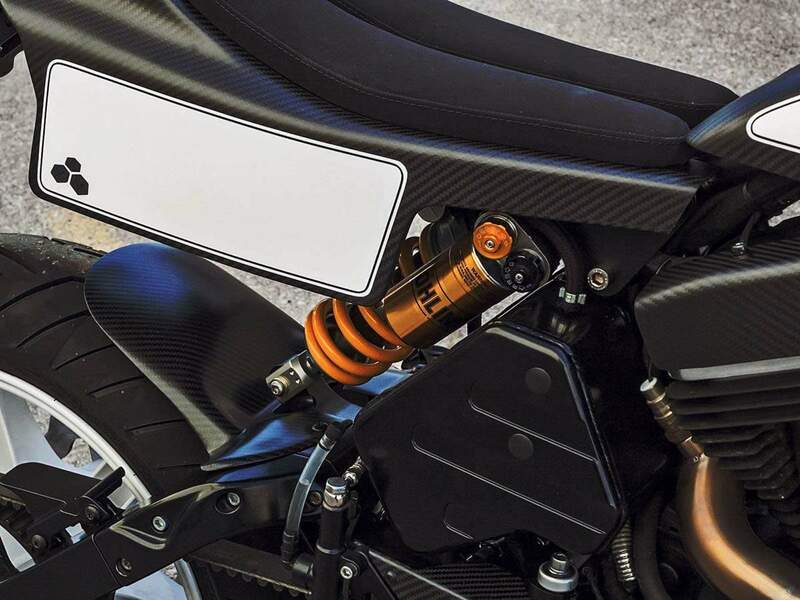 As most of you already know, the XR1s are built using a long swingarm. The 2 main Buell XB models that use long swingarms are the XB12SS and the Ulysses. At least here in Spain, Ulysses are easier to find than XB12SS bikes, and they are also cheaper. When we use a Ulysses as a donor bike we must change the suspensions to avoid the bike being too high. 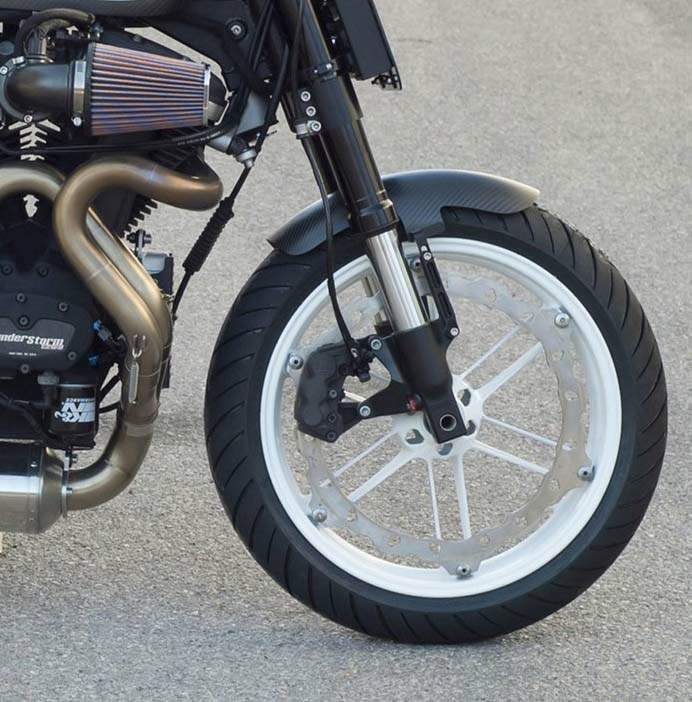 In this case, we mounted the custom-built Öhlins at the rear and a fork from a Buell 1125 at the front. 1125 forks have the advantage that the inner tubes are 47 mm in diameter instead of the 43 mm diameter of the XB12SS fork." Bott reduced the mass by 20kg, by using a new, steel spine frame s a stressed member. There are three fuel tanks with a total capacity of 11 litres, to spread the weight evenly.